Ten practical ideas for better Bengaluru! Everyday when I wake up, I start my day by estimating the amount of time it would take for me to reach work. Normal routine involves catching a bus from the nearest bus stop. But it is nearly impossible to reach there without wading through mud scooped out from the drains mixed with cow dung, growing weeds and a family of pigs heading for their breakfast into the nearby stormwater drain. Only after a few really overcrowded buses bursting at the seams pass by, I decide to walk it to Bellandur bus stop which takes merely 20 minutes away. I pass through some more smelly bits of a mini-landfill and waste exchange area but holding breath for 30 seconds is no big deal. Overall it is a peaceful walk in good Bengaluru weather. 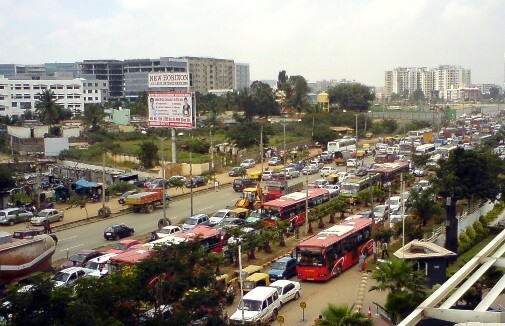 Bengaluru has good weather any time of the year and that’s why people move to this city, but only to sit in large cars with no other occupants. And there is that IT job as well. One must feed the stomach and the gas-tank. From Bellandur, the bus stop is only a width of ORR and a few cat’s lives away. If I am fast enough, I can dart through the traffic, relying on the kindness of the souls behind the wheels. When they made the ORR, they forgot about the pedestrians and the bus commuters. Silly. Now the drivers have to take care not to hit them. Volvo buses are unusually empty or they get empty fairly quickly at Ecospace and you get a place to sit. By looking at the google live traffic, I can see that all roads lead to Ecospace, not Rome. Deep red lines coursing through Bengaluru are bringing young talent to within a few square kilometers of Ecospace. After that, the last mile connectivity is left to the dogs, just like the Byappanahalli Metro station. The Tech parks and the IT companies have enough resources to run their own employee shuttles, which thankfully do not run as empty as the Volvo ac buses hired by the companies plying on the major routes like the ORR. Five of those buses will pass by with two employees each, and then one over-crowded ITPL bus will arrive. No problem, you will squeeze in and offer the fare in exact change or else the conductor will mumble at you for the rest of the ride. I get down at Marathahalli and walk to catch the next connecting bus. It is a mayhem there. But weather is so nice, you can almost walk to office now. Never mind, the bus arrives and travels a kilometer before getting stuck in the big fat traffic fest that emanates at the Graphite junction. Graphite junction is still 2 km away but the jam extends all the way up to Kundalahalli on rainy days like a messenger of God telling you to quit work and move to a village. Walking comes to the rescue and only a few lucky ones can cross through the iron gates of a tech park with a view to the tallest lake view landfill in the city. Alternative to tech park pass through is a wade and swim through a lake under renovation or trekking through its muddy banks. But the breakfast at office and a tea helps in revival. It is also great for marathon training. I heard that this is what they call as junk miles but I will take it with a positive twist of doing commute miles and some exercise at the same time. Some days are different though. One day, when I wasn’t exactly looking forward to the dreaded trek to work, I brooded over work-from-home options and then concluded that I had to be at work today in body and not only soul, so, instead of my hop, skip and jump routine, I decided to take my cycle. It took me 40-45 minutes to work. But it was less tiring than walking and bussing, at least, mentally and a much faster journey, although I got exhausted by the end of the day and slept like a log. Confiscate car of every tenth driver in Whitefield and Sarjapura road. Rent out wings to every pedestrian to fly across ORR. Make a shelter home for the stray pigs of Kasavanahalli. Make tunnels/ over-bridges for Tech parks so that you can cross them without walking extra kilometers. Make less comfortable seats in Volvo buses so that people like my husband don’t fall asleep for hours there. Instead they can walk to office in half the time and be productive. Volvo buses rented out to companies must open their doors (literally) to regular commuters for a small additional fee. Declare certain roads as bicycle-only roads on Sundays, so that people can actually get in shape to ride them on longer commutes to work. Make footpaths without trenches that can currently engulf entire cars or bikes. Government-operated helipads for food delivery boys so that they don’t go the wrong way at blocked medians. Make the Bengaluru weather less nice so that people will move to Chennai instead. Note: This write up was an entry for the writing contest ‘If I were the Mayor’ conducted by Citizen Matters in September 2017. 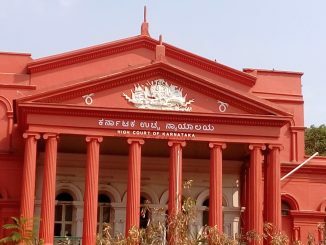 If you are a voter of Shanthi Nagar ward, here is all that you need to know about your ward: Who is contesting, what are the problems, how has the BBMP addressed them in last five years. A developed city is not a place where the poor have cars, but where the rich use public transportation. 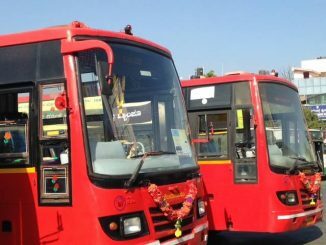 For this to happen, BMTC must look beyond its own flattering ridership statistics, and try to improve user convenience.